Имате въпрос към Sun Flower House? Идеален за развлечения и отдих, Naluisland House се намира в езеро Сън Мун, който е един от районите на Нантоу. Оттук гостите имат лесен достъп до всичко, което този оживен град може да предложи. С удобното си местоположение хотелът предлага лесен достъп до всички градски забележителности, които задължително трябва да се видят. Naluisland House също така предлага много съоръжения за обогатяване на Вашия престой в Нантоу. Подбор на съоръжения от най-висока класа като безплатен WiFi достъп във всички стаи, експресно настаняване/напускане, съхраняване на багаж, Wi-Fi връзка в общите части, паркинг, са на разположение за Вас в хотела. Дизайнът на хотела е съобразен с най-високите изисквания за удобство и комфорт, осигурявани от съоръжения достъпни в някои стаи като телевизор с плосък екран, достъп до интернет (безжичен), безжичен интернет достъп (безплатен), стаи за непушачи, климатик. Независимо от това, дали сте фен на фитнеса или просто търсите начин да отпочинете след уморителен работен ден, в хотела ще намерите най-висококачествените съоръжения, такива като игрална зала. Naluisland House е добър избор за всички посетители на Нантоу, защото предлага спокойствие и безпроблемен престой. Clean and safe with a decent hot shower and a nice big room for the budget traveler. Great. The hotel was located along the main road and can be easily found. I arrived early in the morning so they let me leave my baggage in the lobby. The room was spacious and had two beds, one single and one double. They also gave coupons that can be used at a nearby shop for breakfast but can actually be claimed from 10 am to 8 pm. It was a nice place to stay since it was a few minutes walking distance to the Ita Thao pier and Sun Moon Lake cable car station. The room was also cheap for its size which is good for budget travelers like me. I will recommended this hotel to my friends. The place is located in the main street. Just walking distance to the Ita Thao Port. The instructions given via email on how to locate the inn/house is not accurate. It will direct you to an empty lot next to a fire station. There was a hose used as exhaust for the other room in the room where we stayed. Maybe the guest in the other area was smoking so our room with the host smells of smoke. Not a very comfortable room since we requested for non-smoking room. We have to turn on the exhaust fan so we won’t smell the smoke. very unhealthy and not hygenic if the other guests smoke. Due to the language barrier and online maps not having proper addresses and numbers it was a little difficult to find the place at first, although it is quite easy to locate on the main road, a few meters before the police station. There's noone working at the entrance so all communications need to happen via phone or chat apps. We traded our (basic) breakfast for a bigger room, which was clean, spacious and nice. The village is probably the best to stay on the lake, although beware everything dies out after 7pm and your only options after that would be whatever is left at the convenience stores. A good spot, good price for the money. *NOTE* if you arrive to the Sun Moon Lake area AFTER 5p then the round-the-lake busses will not be running and taxis will charge the exorbitant price of 500nt to go the 10km to this hotel. If you plan on staying here, get to Sun Moon Lake BEFORE 5p. Location is bad & good because there's basically no public transport after 5pm but at Itasho, there's plenty of choices for food at night. We've got the first room that smell terrible and unbearable, luckily the staff which station at downhill nearby rush to arrange another larger room for us. The room is larger cleanner and smell pleasant. Expensive for not good value. Never saw the staff. When you arrive you need to call and organise your check in yourself. Room really smells humidity. Really noisy Bathroom are dirty and smells bad. For sure, I would not stay there again! This hotel is located at 'Ita thao 伊達邵' that is 9km opposit side from the 'Suishe 水社' to which every buses are arrived from the other cities. If you arrive at 'Suishe 水社' after 18:00, there is no way to go this hotel only except taxi fared NT$500. Brakfast(?) is just one piece of instant bread;; The front desk is always empty with no staff. If there is any requirement or question, the guests must call or chat to the staff. Room charge was competitive, but it was not so convenient to stay. The staff are super friendly and responsive. For breakfast you have three options, we went with hot pot for an extra $50 NTD and it was great! Cons- beds are very firm. WiFi was good and there is a tv and you are provided with a towel. The hotel is very clean. breakfast is provided but it is put in a basket that you have to get from downstairs...so it was cold and the toast was not properly toasted. There was no night light in our room so the light was too bright making it hard to relax. There is no one on reception which was strange. Hot water is available. Location is great. The name itself suggests that it is not a hotel but a house. Room was neat and clean. According to price, one should not expect staff services at par with hotels, but it was completely a value for money experience. The owner will inform you beforehand that she will not be at the reception and you can contact her via social media or call her. 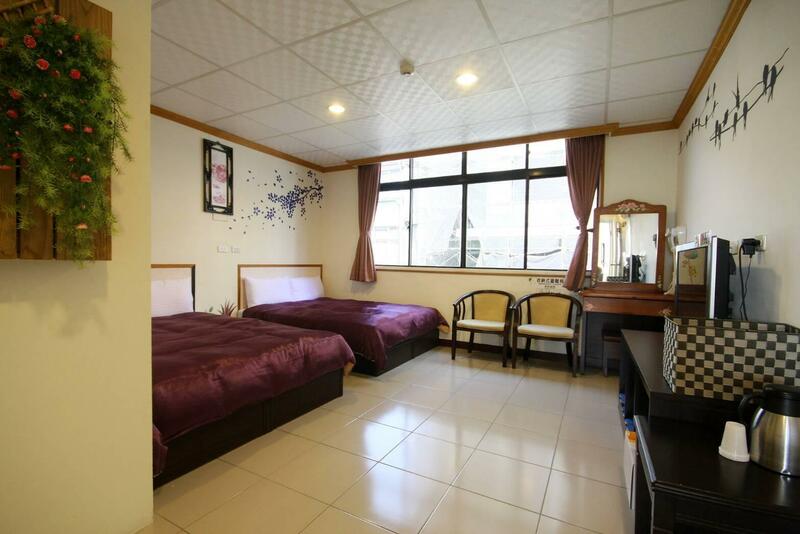 The location is quite near the market and very convenient to visit the nearby spots. In all had a perfect and peaceful stay. There is a note at ‘reception’ telling you to ask someone in the restaurant next door to give you a key. There are no staff except a cleaner. Nobody to ask advice. Very weird. Place was clean but odd. Very thin walls so extremely noisy next to the main road. I would say the receptionist is really very helpful. She helped me with checking the rates of cabbing around. She also upgrade my hostel with shared bathroom to a private double bed with private bathroom as there was no other people staying at that moment. 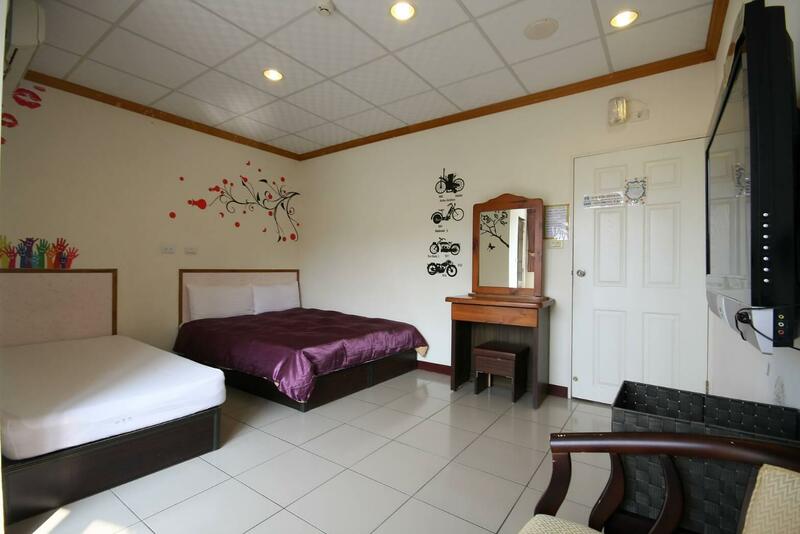 Hotel wise is really worth the money.. walking distance from sun moon lake.. However, I won't recommend staying at sun moon lake, as there is nothing much to do other than one small valley of food. One day will be more than enough.